Like winning? Then HEXUS is the place to be! This month, we've teamed up with storage specialist Western Digital to give you the chance to win one of two My Passport Studio 1TB portable hard drives. Compatible with both Mac and Windows, this lovely-looking drive is presented in an anodized aluminium enclosure and comes equipped with two high-speed FireWire 800 ports as well as USB 2.0. 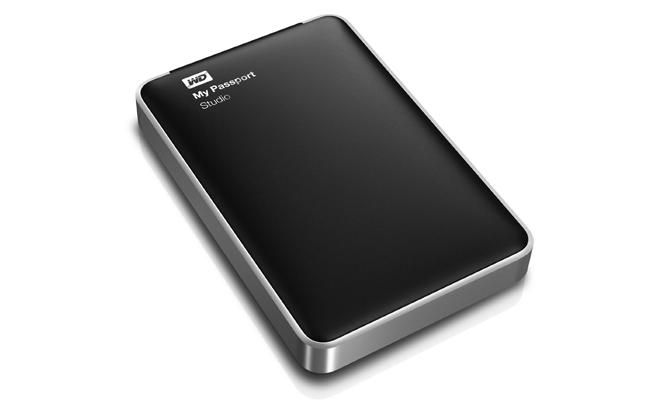 One drive's worth almost £150, but we're giving two away for free! You'll find a clue on the Western Digital product page, but if you think you know the answer, enter your name and email address in the form above and you'll be entered into our prize draw. We'll be pulling the names of two lucky winners out of a hat shortly after the competition closes, so good luck! This would be great for the other half's Mac. Thanks ! Awesome competition. Good Luck everyone. Great give away, I need some extra storage space and a portable drive would be a bonus.